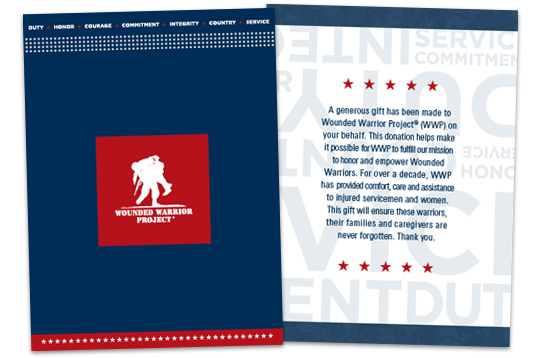 Display your pride in veterans and your country — and get a gift of thanks. Warriors return home and often discover an entirely new battle: recovery. 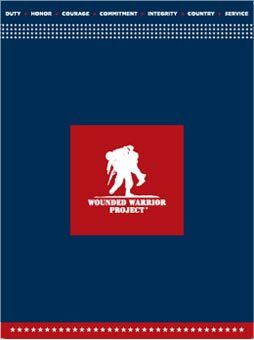 Thanks to the generous support from people like you, Wounded Warrior Project® (WWP) is able to stand ready to serve them along their journey. 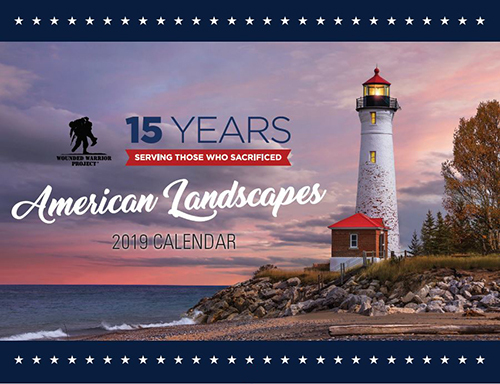 As a token of our thanks for your life-changing support, I’d like to give you this special opportunity to display your pride in these wounded warriors and your country. 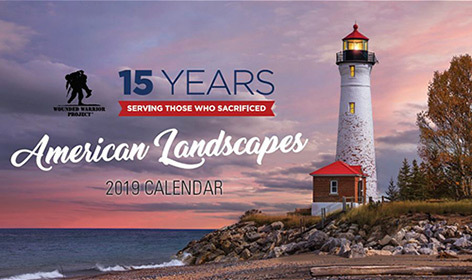 When you make a gift today, you’ll receive America the Beautiful — the 2019 WWP calendar.